The storied Fine Arts Building offers a look at the history-and future-of the Chicago arts scene. Photograph: Martha Williams THE LONG HALL The Fine Arts Building’s understated grandeur has stood the test of time. 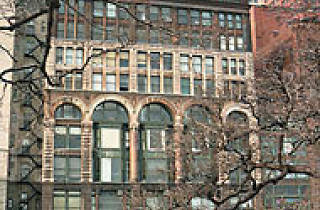 In 1885, a music publisher named Charles C. Curtiss convinced the Studebaker Brothers to renovate their carriage showroom at 410 South Michigan Avenue into a ten-story complex of artist studios and theaters and rename it the Fine Arts Building. If you need a break from all of the cutting-edge work at Artropolis, consider visiting this serene piece of art history just a few miles from the Merchandise Mart. Tenants have come and gone, but passing beneath the arched stone entryway, which bears the inscription all passes—art alone endures, one gets the feeling of having stumbled through a time warp into a Chicago that only exists in yellowed photos. The first signpost: elevator operators. One of them, Tommy Durkin, has been around so long the main hallway is named after him. Anyone can meet the legendary Durkin and experience the time-machine effect first-hand, as the building is open to the public. Take the creaky ride up to the tenth floor and you’ll find a collection of murals almost as old as the building: Just north of the elevator doors, representing tragedy and comedy is Greek Figures with Masks, by Frank X. Leyendecker. Across the hall is Landscape by Charles Francis Browne, whose brother-in-law, famed sculptor Lorado Taft, had a studio down the hall. The same hall also held the studios of William W. Denslow (illustrator of The Wonderful Wizard of Oz; the book’s author, L. Frank Baum, was also a tenant) and an obscure architect you might have heard of named Frank Lloyd Wright. David Swan, an architect who has worked out of an office down that same hallway since 1973, notes that beyond boasting famous and influential tenants, the building was also once “a who’s who of every well-known social movement in the country.” Some of these included the Chicago Woman’s Club, the Illinois Equal Suffrage Association and the literature-oriented Fortnightly Club. 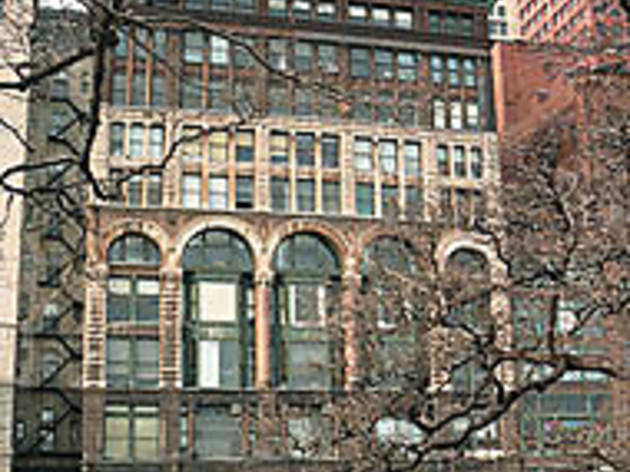 Once home to The Saturday Evening Post and The Dial, the Fine Arts Building is also where Harriet Monroe published her magazine Poetry, giving American readers their first taste of Carl Sandburg, T.S. Eliot and Ezra Pound. The building’s heyday began when Curtiss was building manager and lasted until about 1929, Swan says. After that, the building was hit hard by the effects of the Depression; artists like Taft got their own studios and Poetry magazine moved on. Others who appreciate the building’s mellow, old-time vibe are dance and theater companies, yoga studios and musicians. Jeff Cory, now the Cultural Arts/Arts Council director for the city of Evanston, worked in the building for Chamber Music Chicago from 1988 until 1992. During that time, the organization moved from the fourth floor to the ninth and became Performing Arts Chicago. Cory says he misses the murals, the sound of music echoing throughout the building, and the annual holiday party for staff and select tenants, hosted in Durkin’s basement room, which he’s converted into a shrine to Notre Dame’s Fighting Irish. After experiencing the subtle grandeur of the Fine Arts Building, we couldn’t agree more. Check out the building’s artists every second Friday of the month, when the studios open between 5–9pm.